The impacts of climate change and sea-level rise are expected to have broad implications for society: nearly 200 cities with populations greater than 50,000, and trillions of dollars worth of infrastructure, are located within 6 m of modern sea level. Understanding past coastal responses to climate and sea-level change at local and regional scales is crucial to our ability to predict future climate-change impacts on these systems over decadal to centennial timescales. Progradational beach-ridge plains are found worldwide and have the potential to record minor variability in sea level, sediment supply, and storminess, thus providing just this insight into past coastal behavior. We are studying the stratigraphy, morphology, and processes responsible for the development of such progradational systems, and using them to develop records of past changes in sea level, regional hydroclimate, wave climate, and sediment fluxes. Our study sites span large parts of the globe, from South America to the Arctic. Overview: River-associated strandplains formed in regimes of abundant sediment supply and sea-level fall have the potential to record changes in the volumes and nature (type) of sediment delivered to them during the period of formation. This study, the core of the masters thesis of Julie Krask, uses the 5-km-wide Tijucas Strandplain in southern Brazil as a 5500-year-long record of fluvial sediment export to the coast to investigate the nature of landscape response to Holocene climate change and the imprints of these responses in the coastal environment. This strandplain records decadal- to centennial-scale changes in sediment supply from the Tijucas River in the form of alternating, shore-parallel sand- and mud-dominated facies. Geophysical, sedimentological and geochemical analyses of these transitions demonstrate that climate-driven changes in river sediments exported to the coast can control sedimentation in fluvially-dominated settings. Specifically, compound-specific organic geochemical data (δ13C, δD, Δ14C) allow for the correlation of precipitation seasonality over the Tijucas River basin to the export of coarser sediments to the Tijucas River and the periodic formation of a sand-dominated coastline. Overview: In regions covered with ice sheets during the last glacial period sea level has continued to fall for thousands of years as the deglaciated land has isostatically rebounded. We are using the tools of sedimentology, stratigraphy, and geochronology to study those past changes in sea-level and the associated evolution of coarse-grained (pebbles to boulders) beach-ridge plains in the far north coastal systems of Svalbard, with the goal of better understanding what these beach-ridge systems can tell us about coastal change and sensitivites to environmental change. Reindeer and polar bears abound in this region of endless sun (at least the time of year we are there), but, very unlike the barrier islands of the Mid-Atlantic, there are NO bugs. Overview: This study, lead by collaborators at the University of Perpignan, used ground-penetrating radar, sediment cores, nearshore seismic, and OSL dates to investigate the beach-ridge plain of the Miquelon-Langlade Barrier (France). This plain is composed of ~70 mixed sand-and-gravel ridges, deposited over the past ~2400 years during long periods of bi-directional progradation, interrupted by major erosional events. 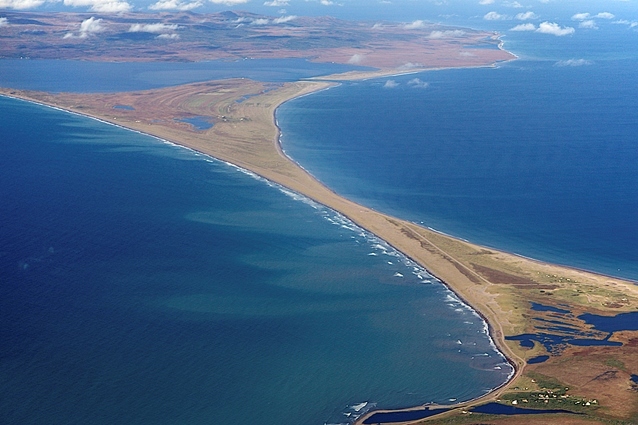 Large (up to 12 m high) aeolian dunes superimposed on the progradational plain are evidence of periods of either shoreline stability or higher sandy sediment inputs. Studies have included investigations of the coupled onshore-offshore development of the beach-ridge plain over the course of the Holocene, records of past sea-level change preserved in the plain, and the internal stratigraphy of the mixed sand-gravel beach ridges, among others. Overview: A complete understanding of coastal response to environmental change can only be obtained by investigating coupled responses in sea level, sediment supply, and storminess. 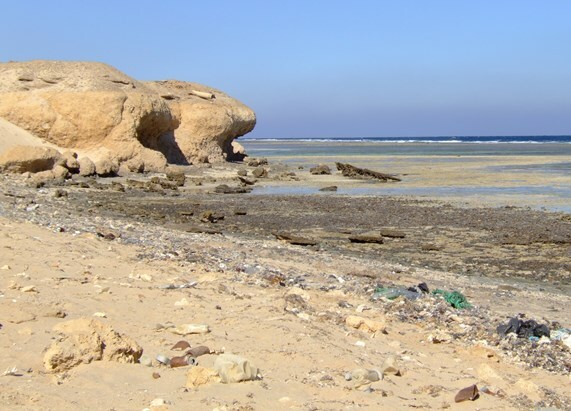 This study focused on the natural infilling of a 4000-year-old Egyptian harbor along the Red Sea coast. It confirmed the existence of a highstand of sea level in the northern Red Sea during the mid-Holocene. Furthermore, by comparing observed bay-infilling rates, derived from stratigraphic correlations and radiocarbon dates, to modeled sea-level variations and published climate-proxy records for northern Africa over the past 6000 years, we were able to trace the coastal impacts of concurrent changes in fluvial sediment supply and sea level. This study uncovered how modifications in terrestrial precipitation patterns, driven by climate change, can overprint the coastal impacts of moderate sea-level changes. Funding Sources: Wallace Sellers (site benefactor; deceased); Geological Society of America Farouk El Baz Student Desert Research Fellowship; National Ocean Sciences Accelerator Mass Spectrometry Facility (NOSAMS). 1) Bay infilling at the Tijucas Strandplain drove complex, autogenic coastal responses, including an acceleration of progradation, a thinning of progradational strandplain deposits, and a fining of the plain as it became ever more mud dominated. 2) Highstand deposits along the Brazilian coast were classified according to local conditions of upland migration potential, wave exposure and sediment supply. A minimum threshold sea-level-rise rate of 2 mm/yr was recognized above which transgression proceeded too rapidly for the formation of stable accretionary shoreline features. 3) The discovery of a paleo-barrier sequence within the Pinheira Strandplain revealed a period of shoreline transgression at 3.3-2.8 kyr ago, likely formed by small sea-level changes. This study provides insights into the complexity of decadal-scale to millennial-scale coastal response to likely variability in sea-level change rates. 4) A study of the geological signatures of tropical south Atlantic cyclones preserved within the Navegantes strandplain uncovered evidence of intense storm impacts during the last several thousand years in southern Brazil with recurrence intervals of ~200 years early on, and 100-120 years periodicity over the past 500 years. Billy, J., Robin, N., Hein, C.J., FitzGerald, D.M., Certain, R., 2018, Impact of relative sea-level changes since the last deglaciation on the formation of a composite paraglacial barrier, Marine Geology, v. 400, p. 76-93, doi:10.1016/j.margeo.2018.03.009. Billy, J., Robin, N., Hein, C.J., FitzGerald, D.M., Certain, R., 2018, Dominance of inherited geologic framework on the development of a coastal barrier system, Journal of Coastal Research, SI85, p. 406-410, doi:10.2112/SI85-082.1. Hein, C.J., FitzGerald, D.M., *de Souza, L.H.P., Georgiou, I.Y., Buynevich, I.V., Klein, A.H.F., de Menezes, J.T., Cleary, W.J., *Scolaro, T., 2016, Complex coastal change in response to autogenic basin infilling: An example from a sub-tropical Holocene strandplain, Sedimentology, v. 63, no. 6, p. 1362-1395, doi: 10.1111/sed.12265. Billy, J., Robin, N., Hein, C.J., Certain, R., FitzGerald, D.M., 2015, Insight into the Late Holocene sea-level changes in the NW Atlantic from a Paraglacial Beach-Ridge Plain South of Newfoundland, Geomorphology, v. 248, p. 134-146. Hein, C.J., Georgiou, I.Y., FitzGerald, D.M., *de Souza, L.H.P., Klein, A.H.F., de Menezes, J.T, 2015. Wave energy, sediment supply, and sea-level fall: Late Holocene basin infilling in southern Brazil, In: Coastal Sediments ’15, Proceedings of the 11th International Symposium on Coastal Engineering and Science of Coastal Sediment Processes. Hein, C.J., FitzGerald, D.M., Cleary, W.J., Klein, A.H.F., de Menezes, J.T., *Albernaz, M.B., 2014, Coastal response to late-stage transgression and sea-level highstand, Geological Society of America Bulletin, v. 126, no. 3/4, p. 459-480, doi: 10.1130/B30836.1. *Billy, J., Robin, N., Hein, C.J., Certain, R., FitzGerald, D.M., 2014, Internal architecture of mixed sand-and-gravel beach ridges: Miquelon-Langlade Barrier, NW Atlantic, Marine Geology, v. 357, p. 53-71, doi: 10.1016/j.margeo.2014.07.011. Hein, C.J., FitzGerald, D.M., Cleary, W.J., *Albernaz, M.B., de Menezes, J.T., Klein, A.H.F., 2013, Evidence for a transgressive barrier within a regressive strandplain system: Implications for complex coastal response to environmental change, Sedimentology, v. 60, p. 469-502. *Billy, J., Robin, N., Certain, R., Hein, C.J., Berné, S., 2013, Barrier shoreline evolution constrained by shoreface sediment reservoir and substrate control: The Miquelon-Langlade Barrier, NW Atlantic, Journal of Coastal Research, SI 65, p. 2089-2094. Billy, J., Robin, N., Hein, C.J., Certain, R., FitzGerald, D.M., 2018, Primary influence of inherited geologic framework on the development of a coastal barrier system. International Coastal Symposium 2018, Busan, Republic of Korea, May 2018. *Krask, J., Hein, C.J., Galy, V.V., FitzGerald, D.M., Klein, A.H.d.F., 2017, Beach-ridge sedimentology as an archive of terrestrial climate change: Insights from a geochemical and stratigraphic study of the Tijucas Strandplain, southern Brazil, AGU Fall Meeting, New Orleans, LA, December 2017. Billy, J., Hein, C.J., Robin, N., Certain, R., FitzGerald, D., 2017, Beach-ridge internal architecture and use for Holocene sea-level reconstruction: A case study from the Miquelon-Langlade Isthmus (NW Atlantic), AGU Fall Meeting, New Orleans, LA, December 2017. FitzGerald, D.M., Hein, C.J., Georgiou, I., Klein, A.H.d.F., 2017, Chenier development within a prograding strandplain complex, AGU Fall Meeting, New Orleans, LA, December 2017. Strzelecki, M., Lindhorst, S., Hein, C.J., *Raff, J. 2016, Holocene deglaciation, sea-level changes and shifts in sediment supply recorded in High Arctic paraglacial coastal systems – Bjonapynten case study, Tempelfjorden, Central Spitsbergen, XI International Conference on Permafrost, Potsdam, Germany, June 2016. Hein, C.J., Georgiou, I.Y., FitzGerald, D.M., *de Souza, L.H.P., 2015, Wave energy, sediment supply and sea-level fall: Late Holocene basin infilling in southern Brazil, Coastal Sediments ’15, San Diego, CA, May, 2015. Hein, C.J., FitzGerald, D.M., de Menezes, J.T., Klein, A.H.d.F., Albernaz, M.B., Cleary, W.J., Depositional signatures associated with late-stage transgression and the mid-Holocene sea-level highstand in Brazil, GSA Abs. with Programs, vol. 46, no 6, abs. 249114. Hein, C.J., FitzGerald, D.M., de Menezes, J.T., Klein, A.H.d.F., Albernaz, M.B., Cleary, W.J., Coastal response to late-stage transgression and sea-level highstand in Brazil, GSA Annual Meeting, substitute invited talk. Robin, N., Barusseau, J.P., *Billy, J., Certain, R., Cormier, V., FitzGerald, D., Hein, C., Levoy, F., Monfort, O., 2014, St. Pierre and Miquelon Archipelago: Coastal knowledge statement and field actions, Coastal Zone Canada 2014. *Billy, J., Robin, N., Certain, R., Hein, C.J., FitzGerald, D., 2014, Geo-chronological pattern of the Miquelon-Langlade beach-ridge plain formation (NW Atlantic), International Coastal Symposium 2014: Durban, South Africa, 13-17 April 2014. Hein, C.J., Bard, K.A., Cleary, W.M., Fattovich, R., FitzGerald, D.M., Klein, A.H.F., de Menezes, J.T., Milne, G.A., Petsch, S.T., 2013, Beyond sea-level rise: Coastal response to climate-driven changes in fluvial sediment supply, Penrose-Chapman Conference: Coastal Processes and Environments Under Sea-Level Rise and Changing Climate: Science to Inform Management: Galveston, TX, 14–19 April 2013. *Billy, J., Robin, N., Certain, R., Hein, C., FitzGerald, D. 2013, Architecture interne par Géo-Radar (GPR) de la plaine de beach-ridges, mixte sable-galet, de Miquelon-Langlade (N-O Atlantique). 14 ème Congrès Français de Sédimentologie (ASF), Paris, Centre de congrès de La Vilette cité des sciences et de l'industrie, 4-8 Novembre 2013. Livre des résumés p 38. *Billy, J., Robin, N., Certain, R., Hein, C.J., Berne, S., 2013, Coastal barrier behavior in relation to nearshore sediment supply: the Miquelon-Langlade Barrier, France, International Coastal Symposium 2013: Plymouth, UK, 8-12 April 2013. Mosquera, D., Buynevich, I.V., Klein, A.H.F., FitzGerald, D.M., Cleary, W.J., Hein, C.J., Angulo, R.J., 2013, Paleo-scarp gradients within the outer Navegantes Strandplain, Brazil: Subsurface signatures of cyclones over the past 1,000 years, GSA Southeastern Section Abstracts with Programs, San Juan, Puerto Rico, v. 45, p. 15..
Hein, C.J., FitzGerald, D.M., Cleary, W.J., de Menezes, J.T., Klein, A.H.F., Albernaz, M.B., 2012, Diverse sedimentological signatures of the mid-Holocene highstand in Brazil, Eos Transactions, AGU, Fall Meeting Suppl., Abstract EP33B-0898. Hein, C.J., FitzGerald, D., Milne, G., Bard, K.A., Fattovich, R., 2011, Holocene sea-level and climatic variability along the African Red Sea coast: Impacts on an ancient Egyptian civilization and implications for future coastal response to climate change, International Union for Quaternary Research, XVIII INQUA-Congress, 20-27 July 2011, Bern, Switzerland. FitzGerald, D.M., Hein, C.J., Cleary, W., de Menezes, J.T., Klein, A.H.F., Scolaro, T.*, Buynevich, I.V. Petsch, S.T., 2011, Climatic and sedimentological forcing of strandplain progradation at Tijucas, Central Santa Catarina, Brazil, International Union for Quaternary Research, XVIII INQUA-Congress, 20-27 July 2011, Bern, Switzerland. Hein, C.J., FitzGerald, D.M., Albernaz, M.B. *, Cleary, W. de Menezes, J.T., Klein, A.H.F., 2010, Geophysical examination of a Brazilian strandplain-barrier system: implications for mid- to late- Holocene sea-level fall in the southern hemisphere, GSA Abs. with Programs, vol. 42, no 5, p. 523. Hein, C.J., FitzGerald, D., Bard, K.A., Fattovich, R., Milne, G., 2010, The Role of Falling Sea Level and Bay Infilling in the Closure of an Ancient Egyptian Harbor, GSA Abs. with Programs, vol. 42, no 1, p. 130. Hein, C.J. and FitzGerald, D.M., 2008, The Search for a Middle Kingdom Harbor: Geological Investigations at Mersa/Wadi Gawasis, Egypt, Institut Français d’Archéologie Orientale Annual Conference: Cairo, Egypt, 29 December 2008. Hein, C.J., FitzGerald, D., Bard, K.A., Fattovich, R., Zazzaro, C., 2008, Geological Investigations of a Middle Kingdom Harbor: Wadi Gawasis, Egypt, GSA Abs. with Programs, vol. 40, No. 6, p. 384. FitzGerald, D.M., Clearly, W.J., Buynevich, I.V., Hein, C.J., Klein, A.H.F., Asp, N., Angulo, R., 2008, Diverse Styles of Coastal Evolution Along Santa Catarina, Brazil, American Quaternary Association, State College, PA, 5-7 June 2008. FitzGerald, D.M., Cleary, W.J., Buynevich, I.V., Hein, C.J., Klein, A.H.F., Asp, N., Angulo, R, 2007. 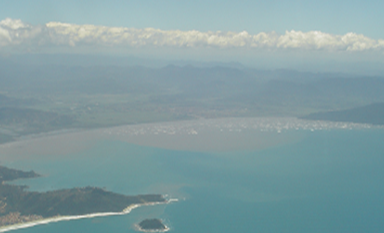 Strandplain evolution along the southern coast of Santa Catarina, Brazil. International Coastal Symposium 2007: Gold Coast, Australia, 16-20 April, 2007. FitzGerald, D.M., Cleary, W.J., Buynevich, I.V., Hein, C.J., Klein, A.H.F, Asp, N.E, Angulo, R., 2006, Variability of Strandplain Development in Santa Catarina, Brazil, IGCP 495 Conference, Balneário Camboriú, Santa Catarina, Brazil, 16-22 September 2006. 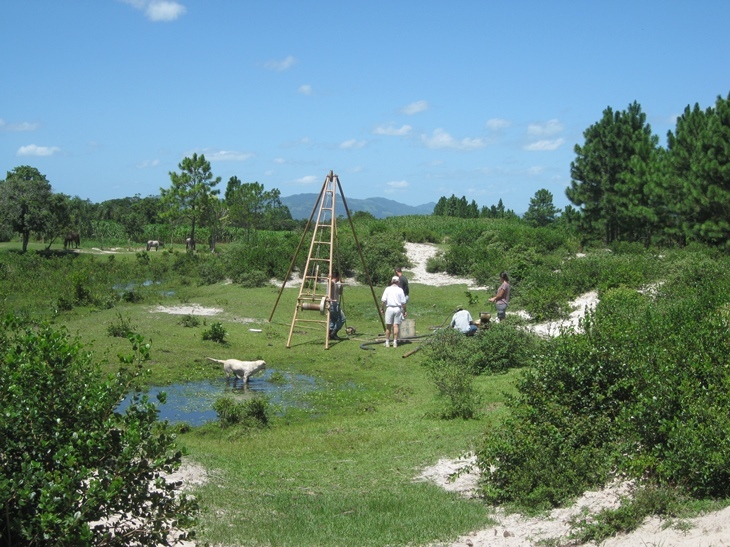 FitzGerald, D.M., Cleary, W.J., Buynevich, I.V., Klein, A.H.F., Hughes, Z., Hein, C.J., Asp, N.E, 2006, Patterns of Mud Deposition in the Tijucas Bay, Santa Catarina, Brazil, IGCP 495 Conference, Balneário Camboriú, Santa Catarina, Brazil, 16-22 September 2006. Buynevich, I.V., Cleary, W.J., FitzGerald, D.M., Klein, A.H.F, Asp, N.E., Hein, C.J., Veiga, F.A., Angulo, R., Peterman, R.M., 2006, Modern and Ancient Erosion Indicators on a High-Energy Coast: Camboriú Peninsula and Navegantes Plain, SC, Brazil, IGCP 495 Conference, Balneário Camboriú, Santa Catarina, Brazil, 16-22 September 2006.